I’ll be in Terrigal, on the NSW Central Coast, for the 2017 Australian Entomological Society conference and taking the opportunity to present a summary of a number of collaborative projects undertaken in recent years, from working out how surrounding landuse influences the mosquito populations in urban mangroves to how important mosquitoes are to the diet of local bats. Together with a range of colleagues, I’ve been undertaking research into the factors driving mosquito and mosquito-borne disease risk in urban wetlands. It is a complex puzzle to solve with more than just mosquitoes determining local pest and public health risks. 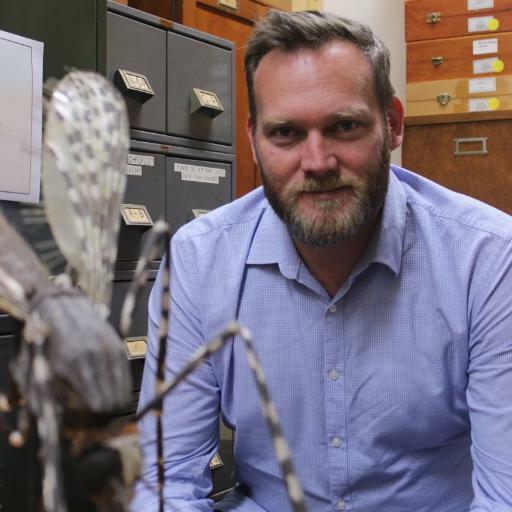 However, with outbreaks of mosquito-borne Ross River virus on the rise in recent years, including urban areas of Australia, there is a need to better understand the factors at play. There is a range of factors that may increase the risk of Ross River virus, they include suitable wetlands, wildlife reservoirs of the pathogen and mosquitoes. Understanding the mosquitoes associated with urban estuarine and freshwater wetlands is critical. Investigating the role of surrounding landuse in determining the mosquito communities of urban mangroves, we found that industrial and residential areas tended to increase abundance of mosquitoes, perhaps due to direct or indirect impacts on the health of those mangroves. We’ve found previously that mosquitoes problems are often associated with estuarine wetlands suffering poor health, perhaps this is determining the increased mosquito risk we identified? You can read more in our publication here. Expanding the investigation to look at urban freshwater wetlands, it was found that there was a high degree of variability in local mosquito populations and that each wetland needed to be assessed with consideration to be given to site-specific characteristics. You can read more about our work investigating mosquito assemblages associated with urban water bodies in our publication here. More research is underway in this field and my PhD student, Jayne Hanford, has already started collecting some fascinating data on wetland biodiversity and local mosquito populations. While the focus of our studies is often prompted by concern about Ross River virus, interestingly, in recent years we’ve found considerable activity of Stratford virus. This is not currently considered a major human health concern but given how widespread it is, it raises concerns about the suitability of local wildlife, even in Western Sydney, to represent important reservoirs of mosquito-borne pathogens. You can read more about Stratford virus in our publication here. The final piece of the puzzle is to understand the ecological role of mosquitoes. Where their potential health threats are deemed significant, how could management of mosquito populations have unintended consequences for other wildlife. What about the animals that eat mosquitoes? A number of years ago we did some research to determine the importance of mosquitoes in the diet of coastal bats. While there was no indication that mosquitoes are a critical component of their diet, they are still being snacked on and mosquito control programs need to consider any local ecological impacts. Now, how am I going to squeeze all this into 15 minutes…. What drives mosquito-borne disease risk in urban wetlands? (1) Department of Medical Entomology, NSW Health Pathology, Westmead Hospital, NSW 2145; (2) Marie Bashir Institute of Infectious Diseases and Biosecurity, University of Sydney, Camperdown, NSW 2006; (3) School of Life and Environmental Sciences, Faculty of Science, The University of Sydney, Camperdown, NSW, 2006; (4) Menzies Institute for Medical Research, University of Tasmania, Hobart, TAS, 7000; (5) Centre for Sustainable Ecosystem Solutions, Biological Sciences, Faculty of Science, Medicine & Health, University of Wollongong NSW, 2522; (6) School of Arts and Sciences, Australian Catholic University, North Sydney, NSW, 2060. Managing pest and public health risks associated with constructed and rehabilitated urban wetlands is of increasing concern for local authorities. While strategic conservation of wetlands and wildlife is required to mitigate the impacts of urbanisation and climate change, concomitant increases in mosquitoes and mosquito-borne disease outbreak risk must be addressed. However, with gaps in our understanding of the ecological role of mosquitoes, could control strategies have unintended adverse impacts on vertebrate and invertebrate communities? A series of studies were undertaken in urban wetlands of greater Sydney to investigate the role of land use, wetland type and wetland aquatic biodiversity in driving the abundance and diversity of mosquito populations. A diverse range of mosquitoes, including key pest an vector species, were found in urban environments and mosquito-borne pathogens were detected in local populations, implicating local wildlife (e.g. water birds and macropods) as potential public health risk factors. Estuarine wetlands are locally important with the percentage of residential land and bushland surrounding wetlands having a negative effect on mosquito abundance and species richness while the amount of industrial land had a significant positive effect on species richness. Mosquito control in these habitats is required but insectivorous bats were identified as mosquito predators and the indirect implications of mosquito control should be considered. The aquatic biodiversity of urban freshwater wetlands influenced the species richness of local mosquito populations indicating vegetation plays an important role in determining local pest species. However, the matrix of wetland types also influences the abundance of mosquitoes in the local area. These results demonstrate the need for site-specific investigations of mosquito communities to assist local authorities develop policies for urban development and wetland rehabilitation that balance the need for conservation with reduced public health risks. To keep up to date on what’s happening at the conference, check out the program online or follow the conversation on Twitter.